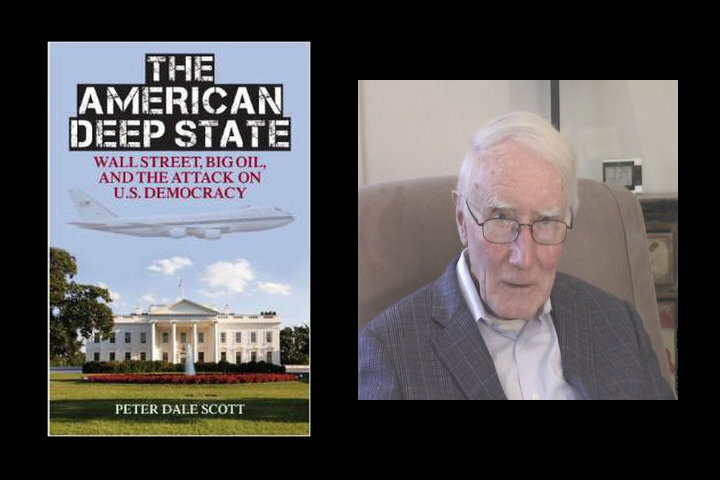 Dear Prof. Scott, “The American Deep State” arrived in the mail today, and I was so thrilled, I started reading it immediately. I have been preaching this idea for at least two years, and I read Mike Lofgren’s book, “The Deep State,” a little over a year ago. Your book, though shorted, seems to go deeper. I’ve already been asked to speak about it at the next New York Humanist Society meeting, although I shared the fantasy with director Beth Lamont (widow of Corliss Lamont) that we might actually get you to come speak. I don’t know where you live, so it might not be practical for you. I also run a panel at the Left Forum on the problems of election corruption in this country. I wanted to mention that to you, since the suppression of information on the subject in both the mainstream and the progressive print media appear to be yet another manifestation of the Deep State. I believe that they operate a form of direct or indirect censorship over these media (our “inverted totalitarianism”—see Sheldon Wolin), that amounts to a Deep State secret comparable to the truth about 9/11, Watergate and the JFK assassination. Their enforcement of this censorship constitutes their cover, whereas exposure of the compelling evidence both of vote flipping (from computerized voting machines) and the nefarious interstate crosscheck scheme that stole the election for Trump (as exposed by Greg Palast in his recent documentary, viewable on his Facebook page, Greg Palast Investigates—scroll down). I have been involved in spreading the word about both, especially through a panel at the Left Forum that I’ve hosted over the past two years. By blocking information about how Republicans have operated a “rolling coup d’état” to capture Congress and many state houses, and steal the recent election, the Deep State takes over the government in even more savage form than they used to have it, while using the MSM and progressive media to cover their tracks—by calling any talk of these thefts “conspiracy theories.” The factitious legitimacy of our deeply corrupted elections thereby profits the Deep State. See also verifiedvoting.org. It would be good to have a means of editing one’s posts.